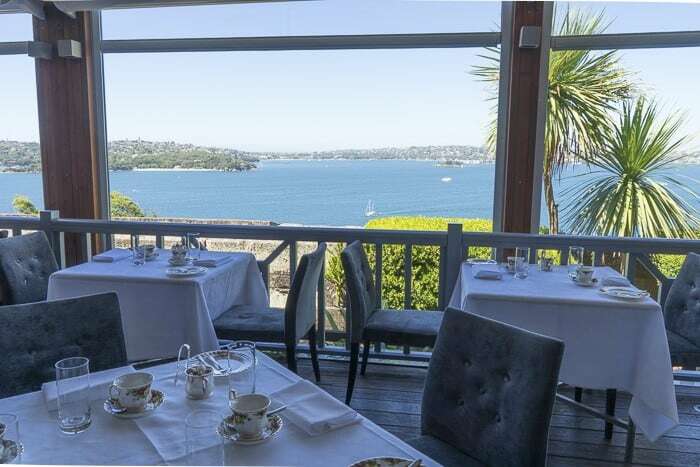 A very spectacular view of Sydney Harbour, a luxurious and elegant morning tea and the company of my very own Mum. 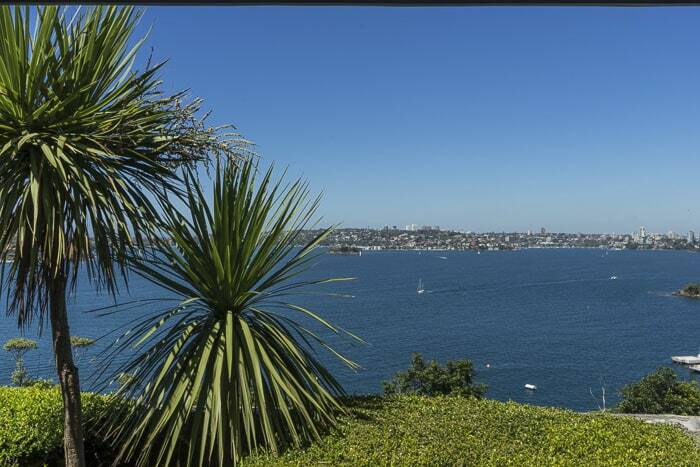 What more could one ask on a broiling hot Sydney day? Mum and I visited Gunners Barracks when she stayed recently. This venue is terrific for a special occasion, and one which welcomes all the family. I do have a couple of tips about how to make the visit work well for all the generations. 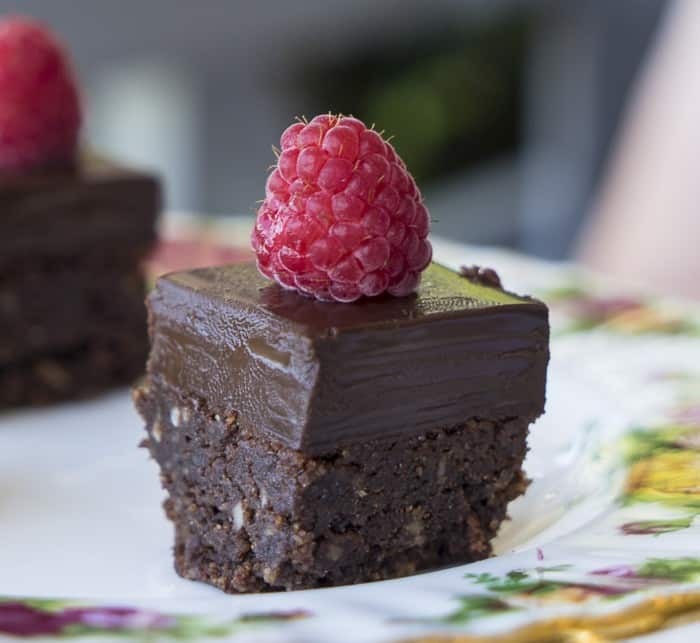 But first, here’s some cake. Oh I did enjoy that one. And here’s a shot with the entire morning tea for two displayed. We actually couldn’t eat it all and brought some home for the starving bairns. And let me assure you, no lunch was required that day. Here are all the facts and figures. 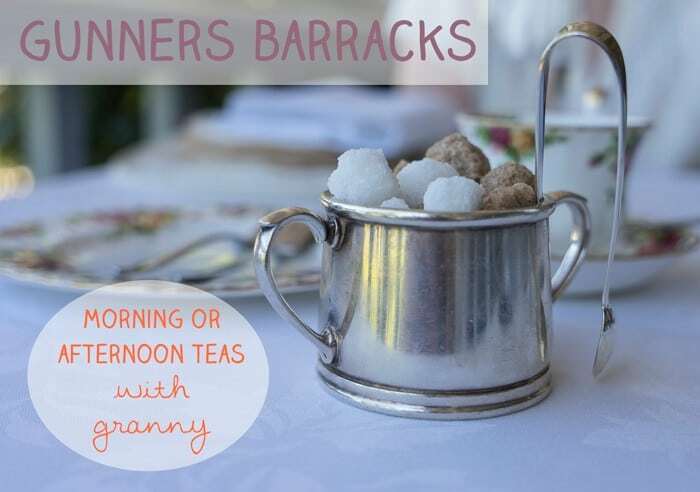 Open: Monday to Friday, however please do always call ahead to check that Gunners Barracks is open on the day you’d like to visit as it is a popular wedding venue and the entire place closes for weddings. Lunches and light snacks are also available. The selection of teas is entirely dizzying. Child-friendly: Yes, there are high chairs and menus for children. I have to say I wouldn’t be in a hurry to take mine as they are anything but sedate. But for well-behaved children this is a great choice. Parking: Here’s the top tip. There is a large car park on Suakin Drive, but then it’s a fair hike down the steep windy road or down steps to get to Gunners Barracks. So call ahead to ask for the code for the gate, so that you can drop grannies and children right at the door. Then the most able-bodied can drive back up to the car park. Reverse the process when you leave. That way old and young legs and strollers don’t get worn out on the hill. 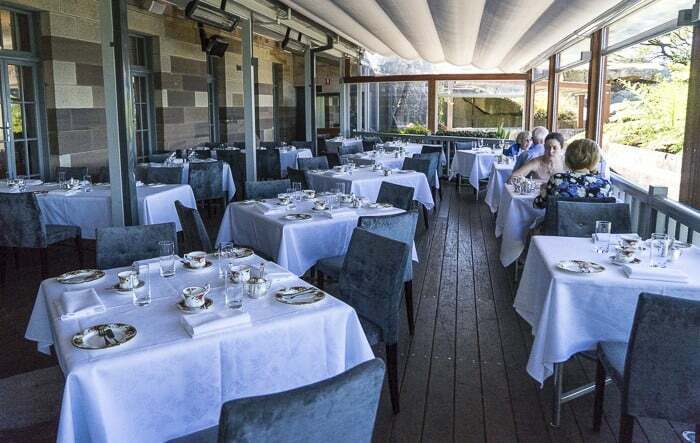 Most of the tables at Gunners Barracks are out on a huge verandah. The building is high up and you have eagles’ eye views over the Harbour. 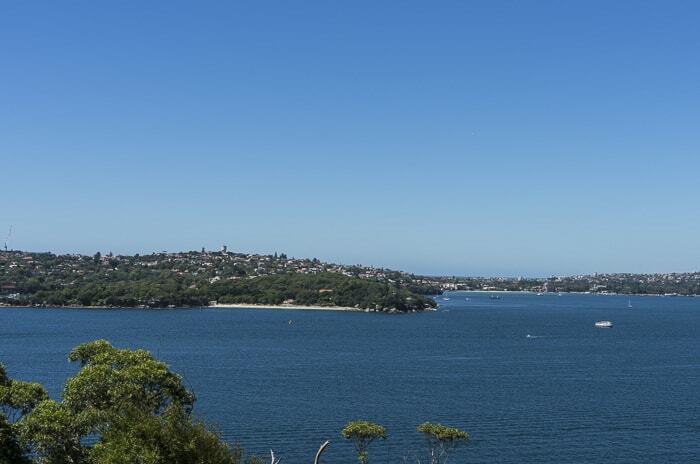 To the west is the city centre and Cremorne and Neutral Bay. Straight across is Neilsen Park with the netted Shark Beach. Amidst the chink of the delicate and divinely pretty English china, you’ll hear the wind blowing and birds singing. 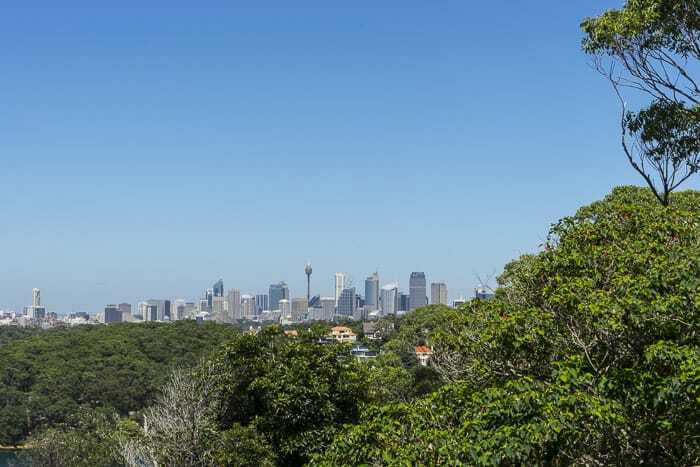 It’s a very unique and select Sydney spot. And there’s plenty of history to learn about too. Gunners Barracks really was a barracks for the local gunners, this high position was ideal for defence of the Harbour. Built in Victorian times, the solid hand-hewn stones tell their own tales. 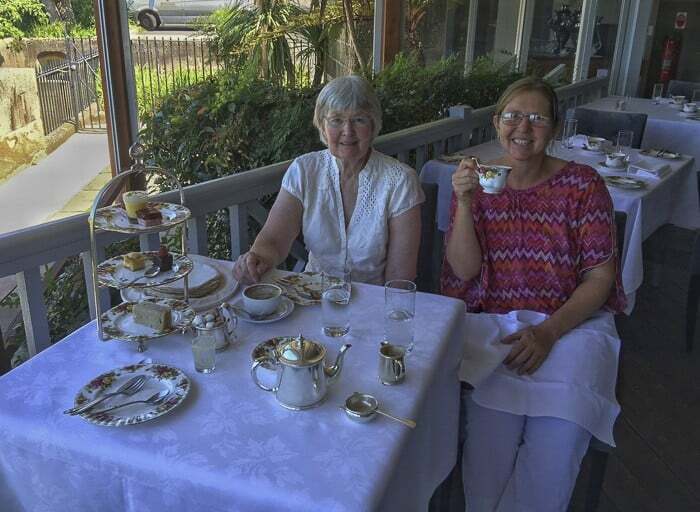 Mum and I enjoyed our morning tea enormously. Well, why wouldn’t we? I can recommend Gunners Barracks as a wonderfully Sydney Harbour spot for special occasions and celebrations. Your kids might suit it very well, but I think I’ll keep it as an adults-only venue in our family. Shall we meet there one day? 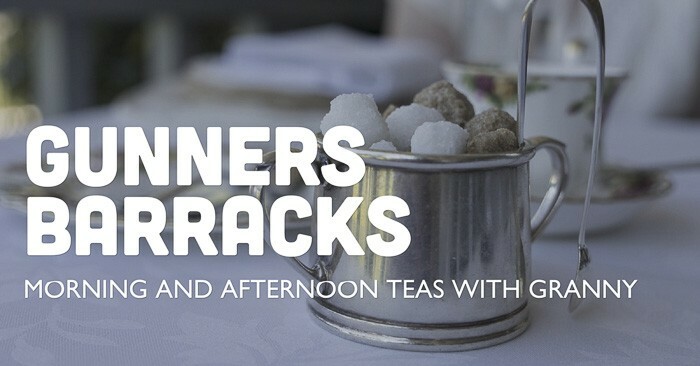 Have a natter over a cuppa and sink several thousand calories? After a bracing swim in the ocean maybe, to work up an appetite? 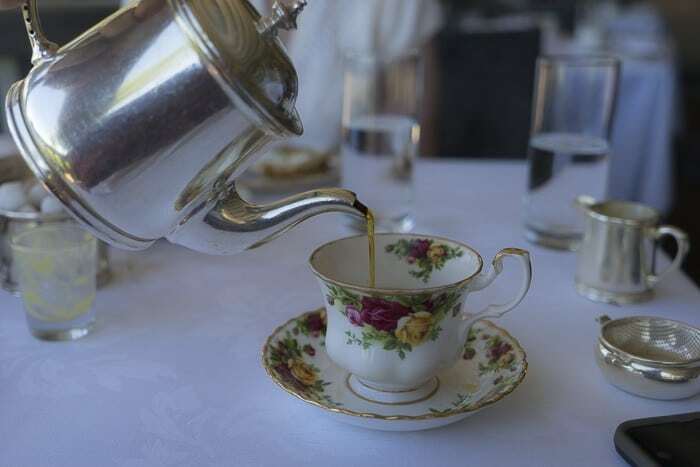 I thought the tea set looked familiar. Very elegant compared to the mugs of tea I usually drain. 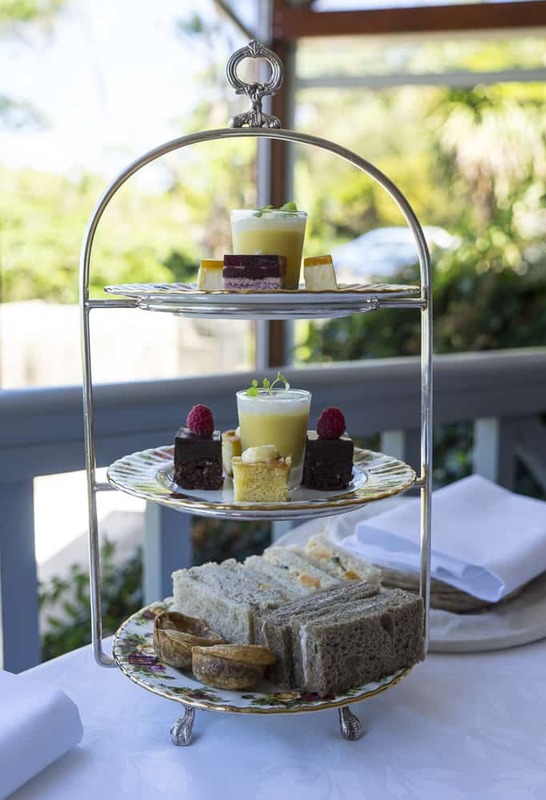 I love high tea, and I’ve been wanting to try that one for ages! It looks lovely. I agree though, definitely not a place to take my kids! Let’s keep it adults only! It is a special spot, but do always give a call first to check they are open. We didn’t do that n this occasion but luckily it worked out fine. I’ll pass on the swim but I’ll have tea there any day! We love that place and took the outlaws there on a recent visit and they were suitably impressed. 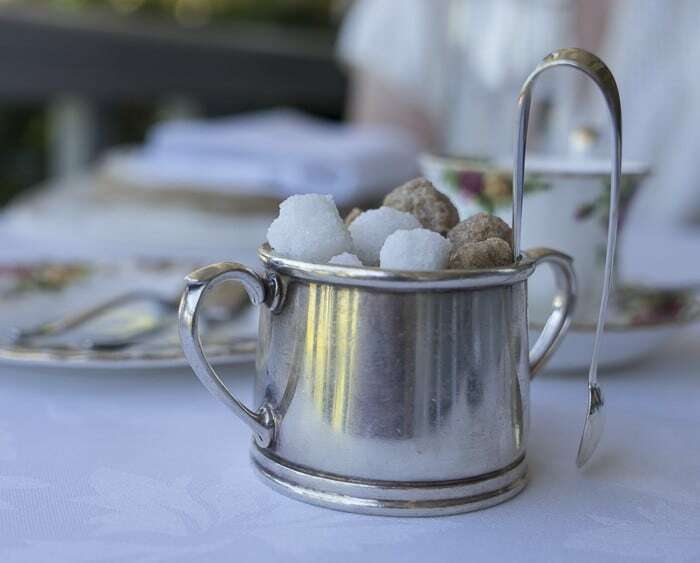 I love the scones, but my tip is, choose tea for two, because then you get the window seats with the best view! It really is a top spot and it looks especially spectacular in your pics! Thank you Sam, I must do a wee list of top morning tea spots and then visit them all!